This Circular provides for the application of national technical regulations, national standards. in-house standards and foreign construction standards (below collectively referred to as technical regulations and standards) in construction activities in Vietnam. 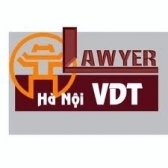 Domestic and foreign organizations and individuals, when applying technical regulations and standards in construction activities in Vietnam, shall comply with this Circular. c/ In case no national technical regulation is available, in-house standards or foreign construction standards must conform with requirements stated in compulsory national standards established by ministries and sectors. 3. For state-funded construction investment projects, the application of national standards will be prioritized. In case no national standard is available, investment deciders may consider and approve foreign standards. 1. A standard may be applied directly in construction activities. It is encouraged to apply the standard's latest version. 2. A standard may be applied indirectly through the implementation of regulations in technical documents and instructions invoking the whole or part of content of that standard. 2. To be considered, selected and approved by investment deciders under work construction investment projects. 1. Investment deciders may consider and decide on and shall take responsibility for the application of national standards, in-house standards or foreign construction standards in construction activities under their management. 1. Investment deciders shall consider and approve the application of standards while appraising and approving construction investment projects according to their competence prescribed in Article 6 of this Circular. b/ For foreign standards or guidelines, their full texts in computer files or printed copies, enclosed with Vietnamese or English translations of to-be-applied parts, are required. c/ A written explanation about standards' satisfaction of the requirements stated in Clauses 2 and 3, Article 3 of this Circular. For foreign organizations' technical guidelines or recommendations for new technological solutions which have not yet been established into standards, there should be a written explanation about names of technical-technological solutions, results of researches and experiments, construction works to which technical guidelines or recommendations have been applied, copyrights to technical-technological solutions; and feasibility in the econo-technical and technological conditions of Vietnam. 3. The contents of consideration and approval of standards comply with Clause 2 of this Article. 1. The Ministry of Construction and ministries managing specialized construction works shall manage and guide the application of technical regulations and standards to construction investment projects under their management. 2. Provincial-level People's Committees shall manage, inspect and examine the application of technical regulations and standards in construction activities in their localities. The application of technical regulations and standards in construction activities in localities shall be inspected and examined according to law. Inspection and examination cover the observance of this Circular and technical regulations and construction standards already approved for application. When detecting violations of this Circular, local inspection and examination agencies shall make a written record of violation to suspend construction activities, request investors to take remedies, and impose administrative sanctions according to law. 1. Construction activities must comply with national technical regulations as from the effective date of these technical regulations. For construction investment projects already approved by competent authorities before the effective date of technical regulations, previous regulations prevail. 2. In case the application of construction standards to a project is approved before the effective date of this Circular, such application will continue. For new projects or supplementary projects, the application of construction standards shall comply with this Circular. 1. This Circular takes effect on December 15, 2010.